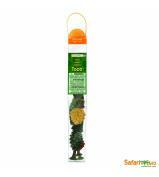 Legend has it that Ladybugs bring good luck! 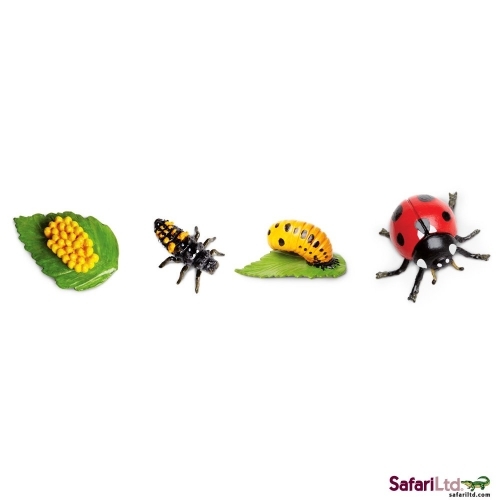 Our life cycle of a ladybug by Safari Ltd® will show you step by step how this adorable, lucky creature transforms from a tiny egg into a beautiful red and black spotted ladybug. 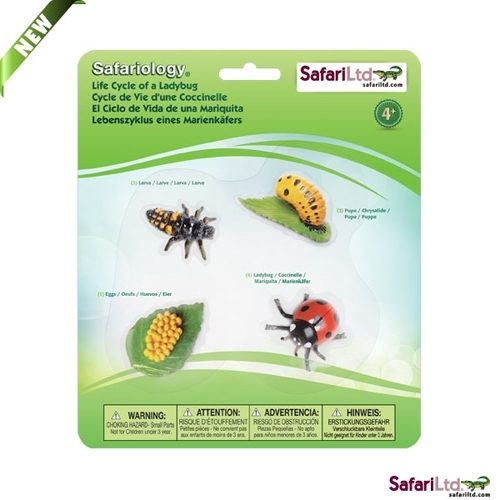 This set features four figures, including a realistic Lady Bug figurine. 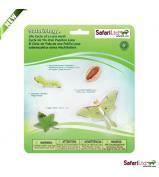 Miraculous and awe-inspiring transformations can be observed in close detail with our Safariology® Life Cycles. Parents and teachers use these insect life cycles to teach children about the wonders of life in an engaging way, with manipulatives for kids to hold and play with. 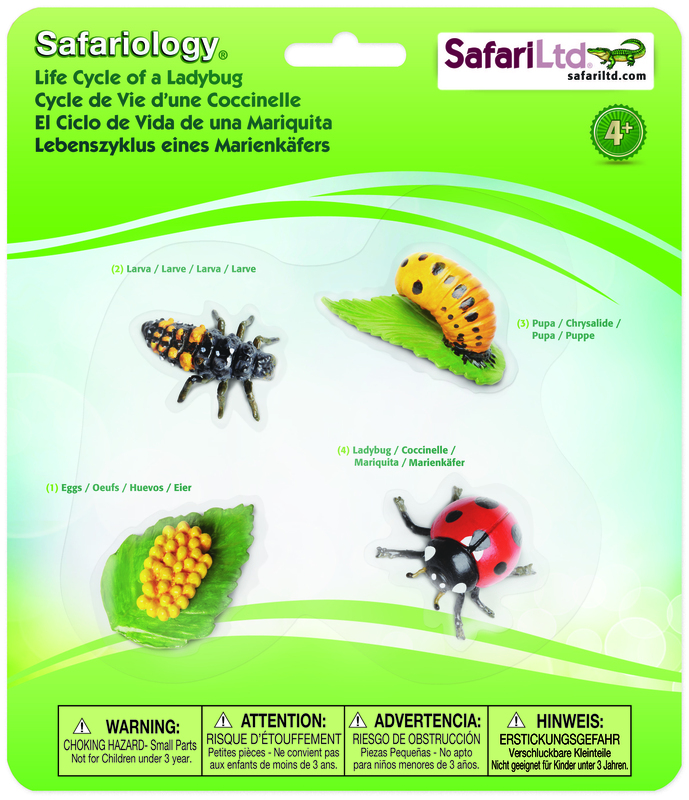 At Safari Ltd®, we believe learning and playing go hand-in-hand, which is why we have created our Life Cycles collection, complete with educational information in English, Spanish, and French on the blister cards.